One of the richest silver strikes in American history was discovered near Mount Davidson roughly 20 miles southeast of Reno, Nevada. The Comstock Lode, as it came to be known, went on to produce millions of ounces of both gold and silver. Mining began in 1859, and continued strong until around 1880. Gold is believed to have first been found in the area around 1850, by Mormon immigrants traveling toward the recently discovered California goldfields. Although some gold was recovered, it did not attract much attention compared to the anticipated richness of gold over the mountains in nearby California. Some prospectors would stop and work the area waiting for the snow in the mountains to melt, but as soon as the mountains were passable, they ventured onward. Little attention was given to the area for nearly a decade. Gold miners in the area had cursed a heavy blackish-blue material that clogged their rocker boxes and made it difficult to wash out the fine gold. This was very frustrating for the early miners, and many abandoned the areas for this very reason. It wasn’t until a sample of this ore was sent in for further evaluation that it was discovered that this material was actually a rich silver ore. The initial discovery of silver ore is credited to Ethan and Hosea Grosh in 1857. Both men were veteran prospectors who started prospecting in California, and had good knowledge of mining. Unfortunately both men died within a year of their discovery. Ethan ran a mining pick through his foot and died of septicemia, while Hosea got extreme frostbite while attempting to cross the Sierra Nevada Mountains. Refusing to have his legs amputated, he died from infection. Upon hearing of the Grosh brothers deaths, Henry Comstock took claim to their discovery. Despite the richness of the discovery, Comstock was an uneducated man and did not realize what he had stumbled upon. It wasn’t until a rich discovery of silver on nearby Gold Hill that he realized how rich the ground in the areas really was. The rediscovery of silver after the death of the Grosh brothers is credited to four men; James Finney, John Bishop, Aleck Henderson, and Jack Yount. Two more miners, Peter O’Reilly and Patrick McLaughlin, finding that all of the ground on Gold Hill had been claimed, explored up a small canyon and sank a small pit, where they discovered more rich silver ore. Silver mining began in full earnest, and with more and more discoveries, the area around Virginia City was soon booming with upwards of 30,000 prospectors. Many of them men that were still prospecting in California abandoned their mines and ventured across the mountains to the Comstock Lode. Of the men who were responsible for the earliest discoveries of silver in the area, very few made any significant money for their finds. Patrick McLaughlin sold his interest to his claims to for $3,500, which he soon lost in various business ventures. Peter O’Reilly went on to sell his interests for $40,000, and went on to explore other mining ventures in the area. He eventually lost everything and was declared insane. He was sent to an asylum in California where he died. Despite having his name credited for the Comstock Lode discoveries, Henry Comstock never capitalized on being one of the first in the area. He made a series of poor business decisions, including selling off a 1/10th interest in his holdings for a horse and a bottle of whiskey. He eventually sold off the remainder of his assets for $11,000. He went on to open several stores in mining towns throughout Nevada, but having no real business experience he quickly lost all of his money. It is believed that he continued prospecting in Idaho and Montana, but had no success in finding any more gold or silver. In 1870, while prospecting in Montana, he used his own pistol to commit suicide. Despite the poor outcomes of nearly all of the early miners who discovered the silver of the Comstock Lode, the area itself went on to be one of the richest mining districts in the entire country. Both gold and silver was extracted from the rich ores, and mining continued in earnest for several decades. 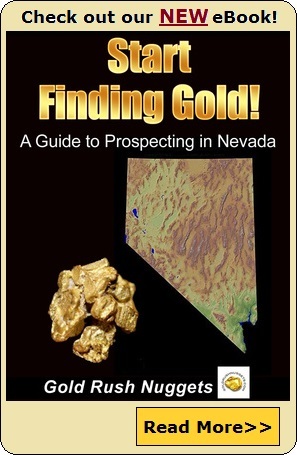 The Comstock Lode was also responsible for attracting attention away from the California Gold Rush, and many more rich gold and silver discoveries were made throughout Nevada.